The Drendel & Jansons Law Group handles every aspect of family law. Family law includes divorce, child custody, child support, spousal support, adoptions, guardianship, and prenuptial agreements The attorneys of Drendel & Jansons Law Group are experienced in all facets of family law. The law firm takes pride in its reputation and the reputation of the attorneys in the legal community. We set ourselves apart by providing high levels of communication and responsiveness to our clients’ legal needs. Our history in the Fox Valley is long. The Drendel & Jansons Law Group has roots going back to 1961 when Gilbert (“Gib”) X. Drendel, Jr. joined the Reid, Achsenslager, Murphy & Hupp in law firm in Aurora. Gib Drendel formed a new firm in 1981 and moved it to Batavia in 1994. Gib Drendel set the tone for the Law firm as one of the “heavy hitters” among family law attorneys in the collar counties (DuPage, Kane, Kendall and Dekalb). Although he was a formidable foe in the courtroom, he was also a gentleman, well liked and respected. He cared for his clients, other attorneys and his community. He was an influential leader in family law circles of the local and surrounding bar associations. He was a long-standing chair of the Kane County Bar Association Family Law Committee, the largest committee in the Bar Association, and was known as “the professor” by other committee members. He wrote many of the local court family law rules himself. He would take on the high asset, complicated family law cases that other attorneys were unwilling to handle because of complex tax and valuation issues. We are proud of our history – and we continue to uphold the reputation of the firm through outstanding representation of our clients. Although Gib Drendel is largely retired, he contributes to the firm in more of a consulting role today, his legacy lives on. Carolyn Jansons, Mark Brent, Roman Seckel and Lawrence Lobb continue to focus the practice of the law firm on family law matters. Carolyn Jansons has continued the leadership of the Firm in the local legal community by chairing the Kane County Bar Association Family Law Committee. Mark Brent has published family law materials for both attorneys and the public, including a book he was asked by Thompson Reuters to write to educate people on family law matters, (Divorce Proceedings in Illinois – What You Need to Know). Carolyn Jansons and Roman Seckel are perennial speakers at the Kane County Bar Association Family Law Seminar, the largest seminar given every year by the 1400 member KCBA. The Drendel & Jansons Law Group continues to be a leading law firm in Kane County handling family matters. The Firm continues its leadership role among family practitioners in the area and handles a large volume of family matters or every type. 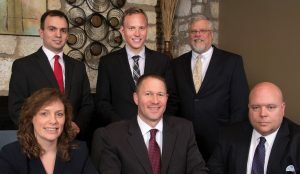 With offices in Batavia and Aurora, the Firm serves family law clients in Kane County, DuPage County, Kendall County and DeKalb County primarily, but attorneys in the office have taken matters in Cook County, McHenry County, Will County, Lake County and even LaSalle County, Ogle County, Grundy County, Kankakee County. Winnebago County, Marshall County and beyond.